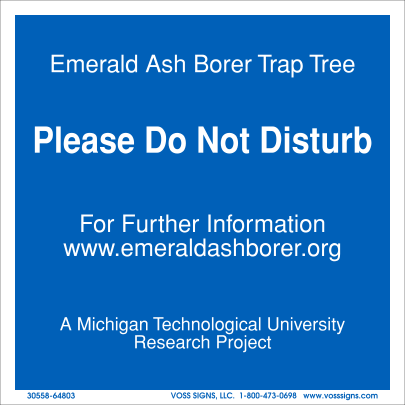 Mission: To establish a network of trap trees throughout the State of Michigan in areas heavily used by the public to help detect the spread of Emerald Ash Borer (EAB). 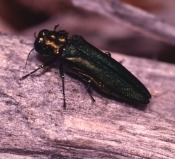 If you see this sign, it is marking a tree that has been made as attractive as possible to lure and then trap any Emerald Ash Borers that may be in the region. The purpose of trees such as these is to help detect any insects that may have spread beyond the quarantine area. Approximately 120 sites used heavily by the public throughout Michigan will have several trap trees located in each.